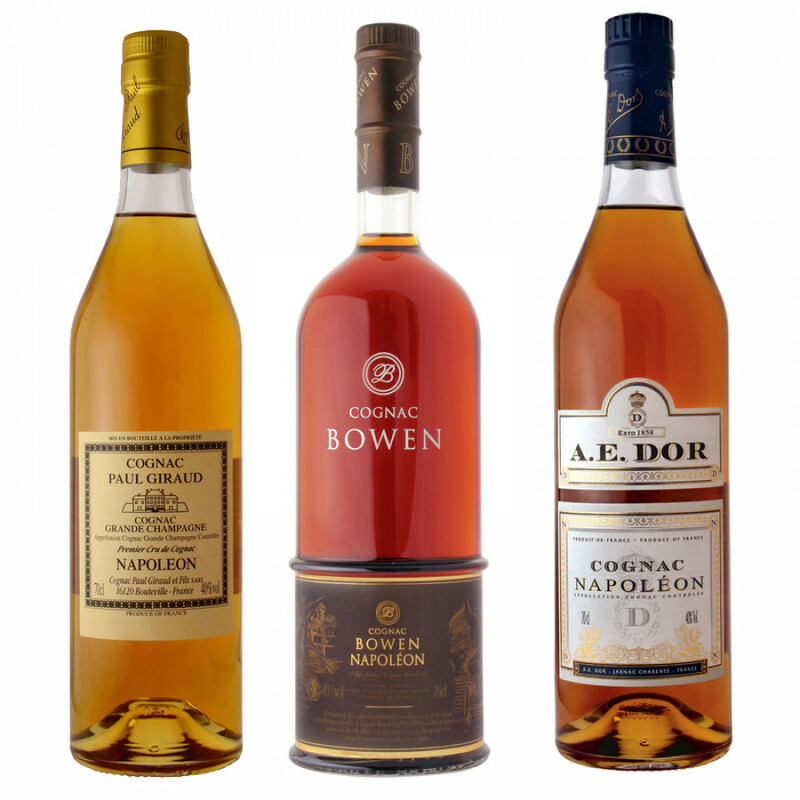 A trilogy of three different Napoleon Cognacs we really like: Bowen Napoleon, Paul Giraud Napoleon and A.E. Dor Napoleon. You can also purchase these items one-by-one if you follow the links above. Three 0,7l (70cl) bottles in one set, benefit from our discount. Paul Giraud Napoleon is 15 years old, aged in oak barrels. The eaux-de-vie come from Grande Champagne. A.E. 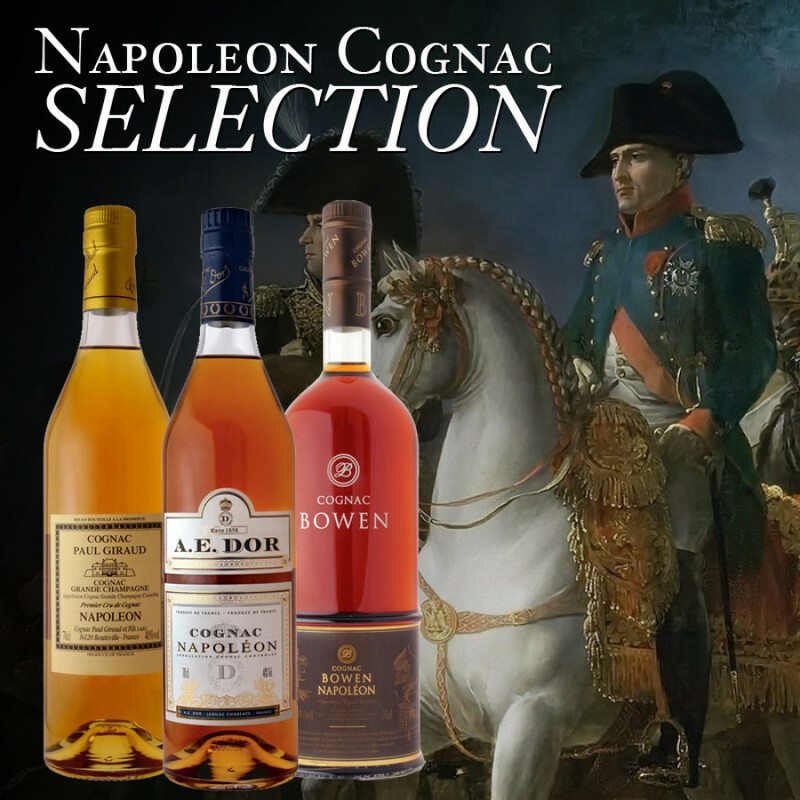 Dor Vieux Napoleon is a cognac that consists of fine, old eaux-de-vie from three different growth areas: Grande Champagne, Petite Champagne and Borderies. The word Napoleon is equivalent to XO, the youngest eaux-de-vie is at least 6 years old (aged in a barrel). Bowen Napoleon Cognac is a mature cognac that has been aged in oak barrels for at least six years - but in general aged longer.